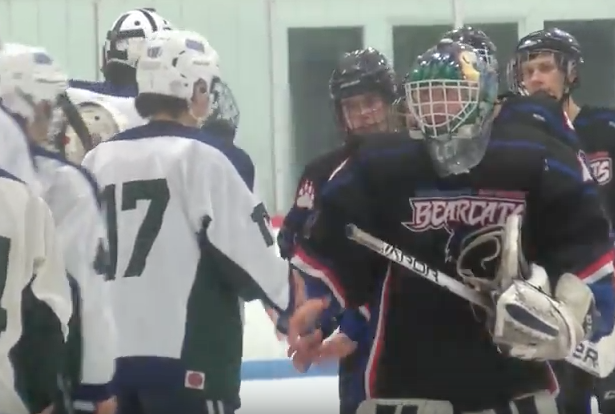 Last Wednesday night, the boys ice hockey teams from John Stark Hopkinton and Somerswoth Coe Brown faced off on the General Hawks home ice. The visiting Bearcats came into the matchup with a record of 8 and 8 while the hosts held an impressive record of 11, 2 and 2. Both teams were hoping for a late season win to improve their division 3 standings so a tight contest was expected.